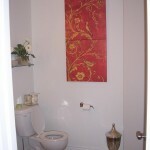 Before, this powder room was large and uninspiring. 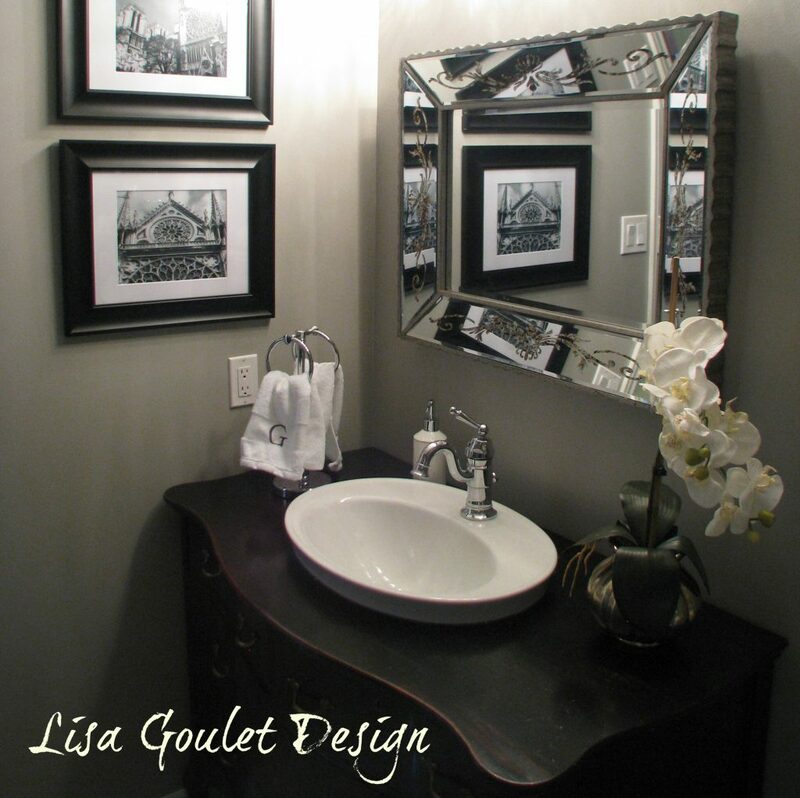 To transform it, we added a 1920s mahogany dresser, which was customized into a vanity by adding a sink and faucet. 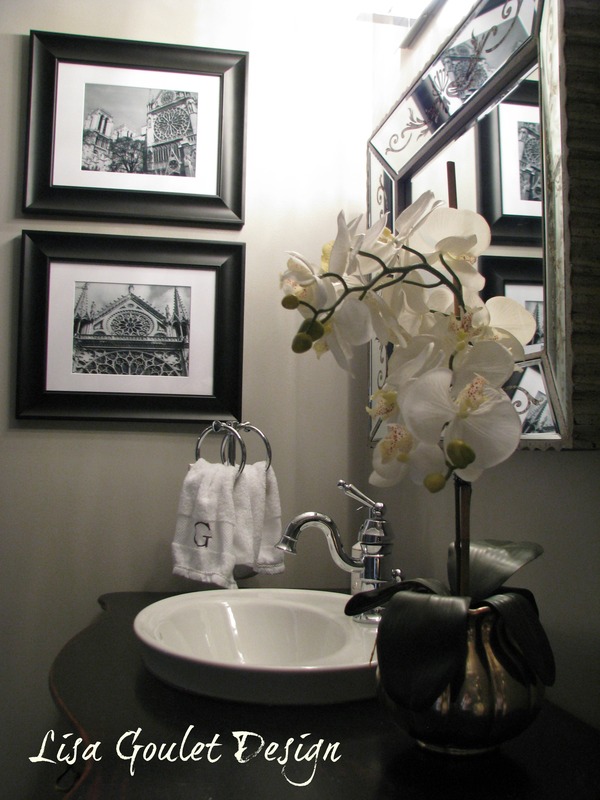 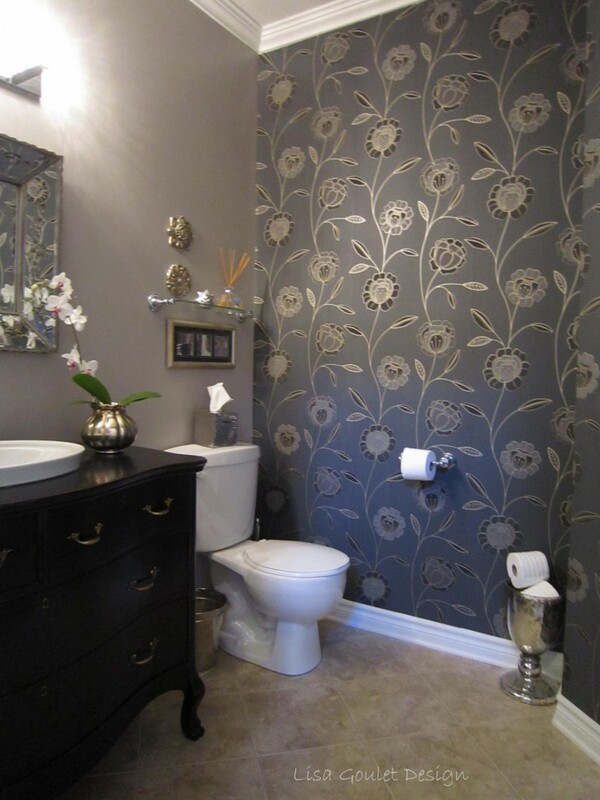 By also using wallpaper, paint, a new light fixture and accessories this powder room quickly became spectacular.